Ridgeway Gold Mine — Morgan Corp.
KRMC constructed and operated the largest precious metal (gold & silver) mining operation east of the Mississippi. Morgan Corp. was instrumental in the initial development, ongoing operations, and final reclamation of the facility. 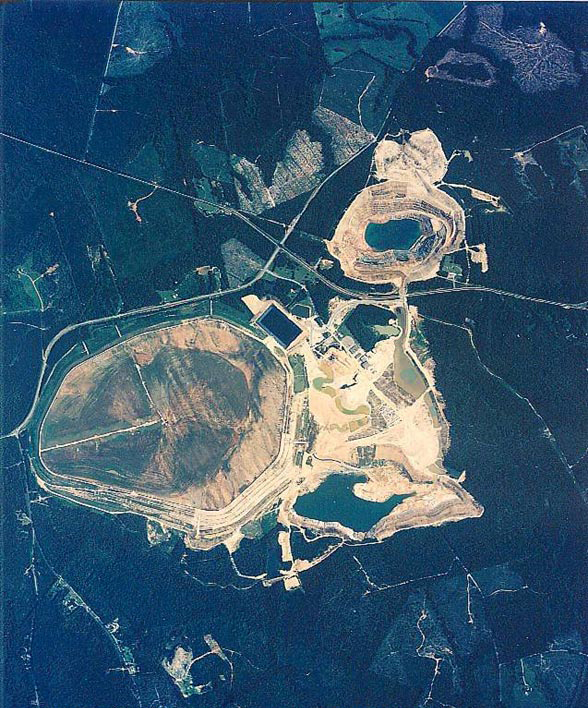 In 1987 Morgan Corp. was contracted for the initial site preparation work which included over 1.5 million cubic yards of embankment construction required for the 250 acre Tailings Impoundment. 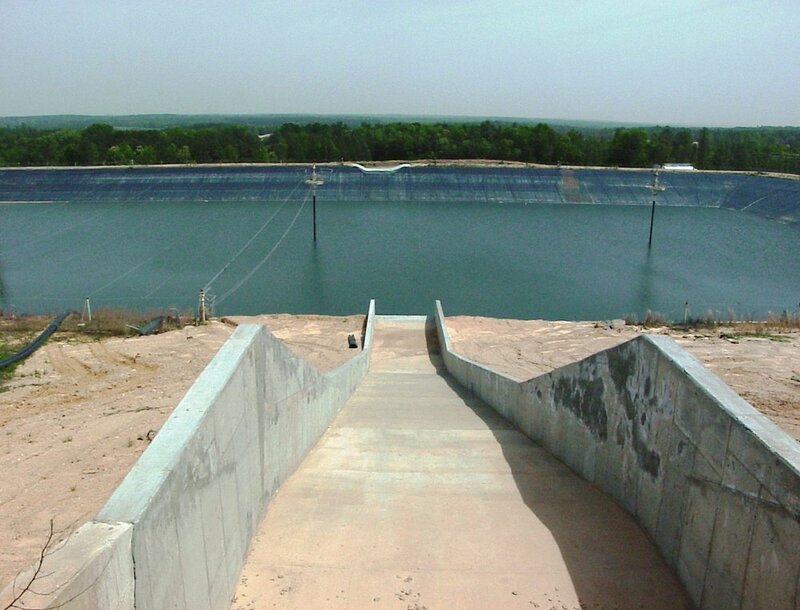 This impoundment is covered with an impermeable clay liner and 60 mil HDPE synthetic liner. Subsequent to the initial phase of construction, Morgan Corp. contracted directly with KRMC for Phases 2, 3, 3A, and Phase 4 projects which incrementally raised the elevation of the impoundment from Phase 1 elevation of 470 to the final, Phase 4 elevation of 560. This increase required in excess of 24 million cubic yards of embankment material, of which Morgan Corp. placed approximately 10 million. The impoundment presently encompasses over 365 acres of area, is approximately 14,000 feet in length, with a maximum height of 190 feet. In October of 1999, KRMC contracted with Morgan Corp. for final reclamation of the facility after the conclusion of active mining operations. 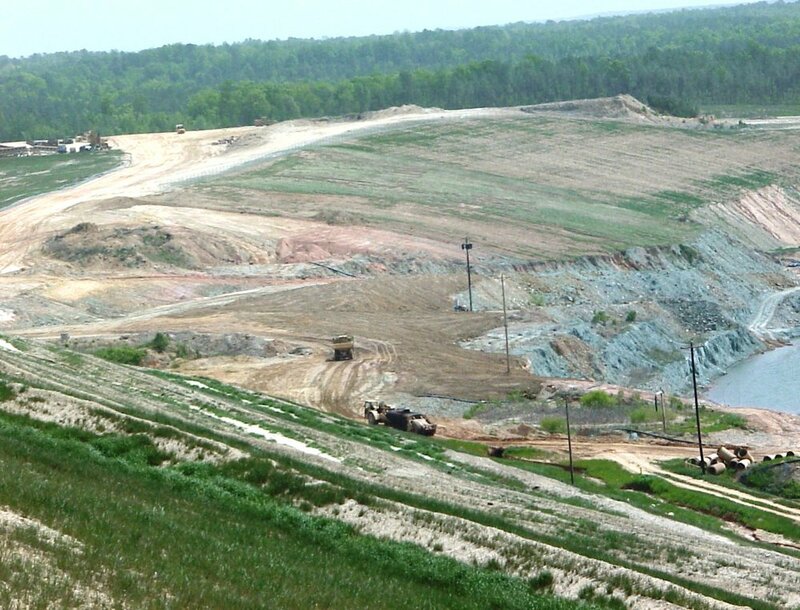 This work included the hauling, placement, and compaction of over 1 million cubic yards of inert armor material for the 365 acre impoundment. It also included the construction of passive wetlands and a one-mile water conveyance channel connecting the North and South Pits. The total earthwork volume required to complete this reclamation project was approximately 2 million cubic yards. Additionally we re-spread topsoil and permanently stabilized 600 acres of disturbed area, placed 11,000 tons of Rip Rap, 71,000 square feet of AB matting, and established the final contours on the two 180 acre mine pits.